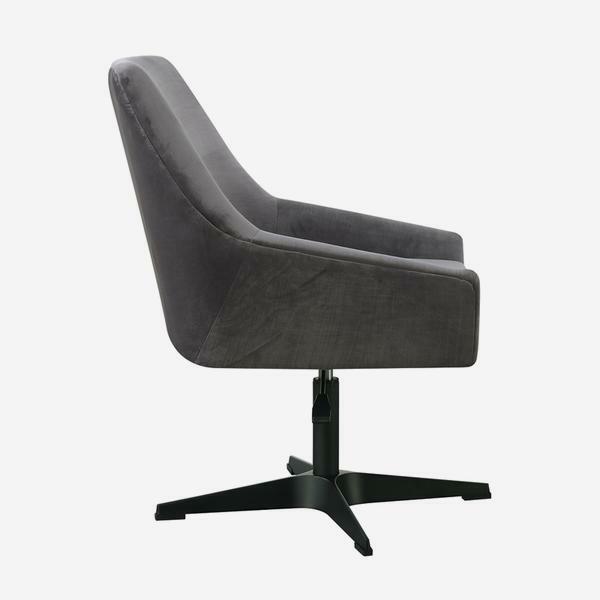 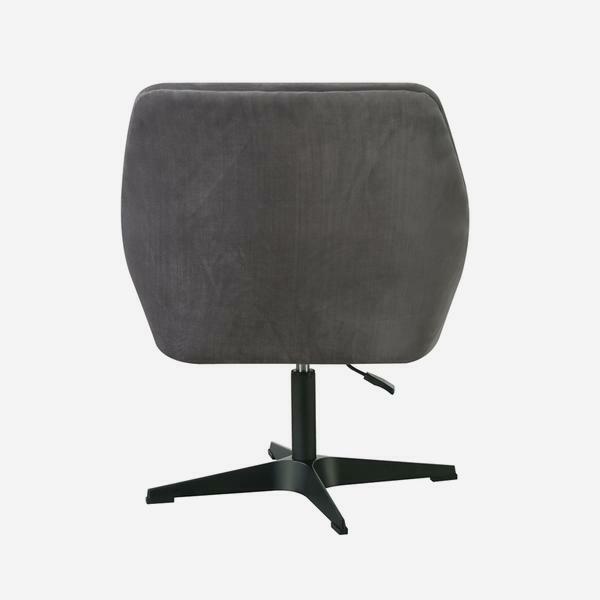 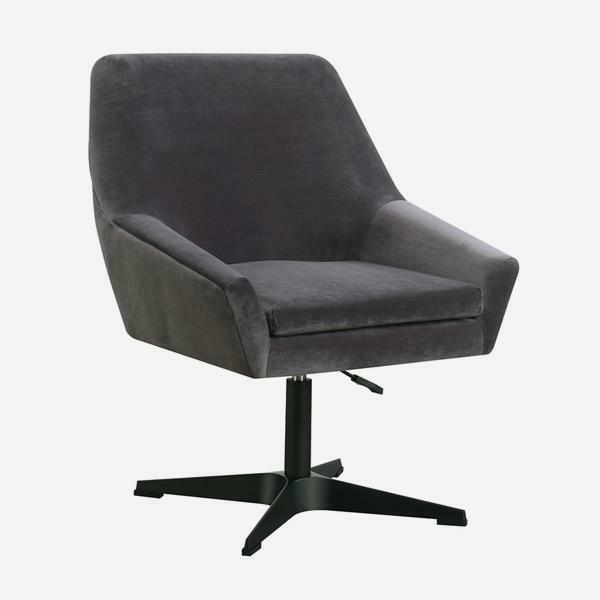 A smooth-lined desk chair with an adjustable height lever. 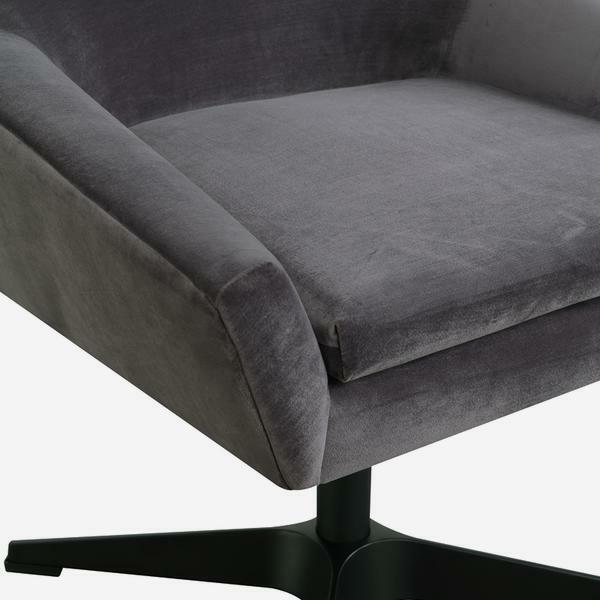 Terence exudes retro chic in soft grey velvet and with low sloping arms. 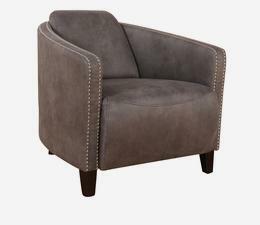 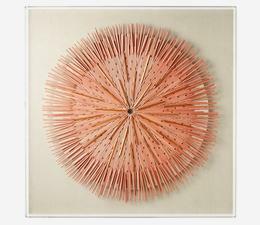 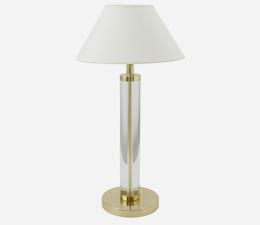 It will add subtle style to a room and make desk work inviting.